A bad workman always blames his tools, so they say – but in order to do a proper job, it’s true that we also need our tools to be in excellent condition. 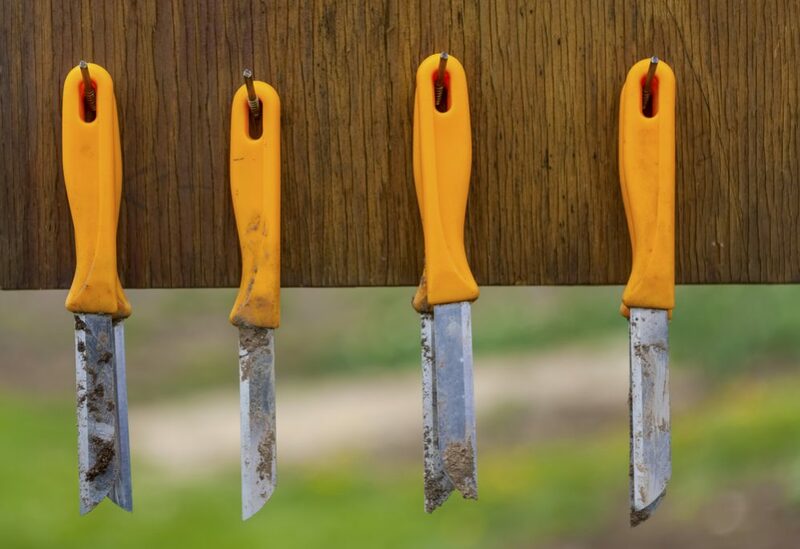 Many garden tools have edges that need to be maintained – so here’s a list of those tools and the best way to sharpen them. A clamp is a useful device for holding tools in place while you work on the blades with files or other implements. 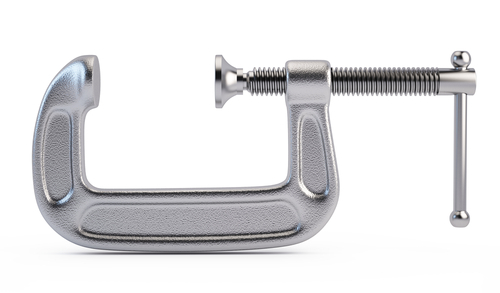 A vise serves the same purpose as a clamp but is larger and better for holding more sizeable implements like lawnmower blades. Files are a basic sharpening implement. 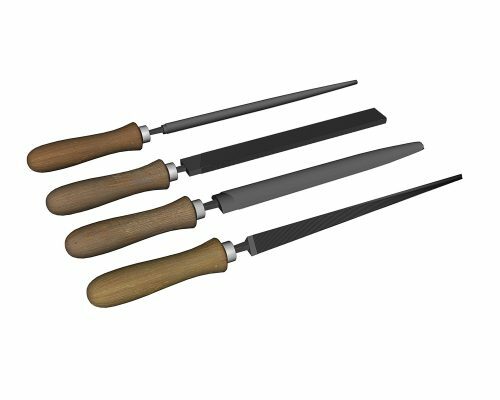 They come in various sizes, and having a range of sizes available makes it easier to sharpen different sized garden tools. For example, a small file is ideal for sharpening small garden shears but a larger one is more effective for sharpening something like lawnmower blades. The classic method for sharpening knives and similar tools is to use a whetstone. You simply pass the blade across the abrasive surface, creating a clean, sharp cutting edge. Another option is a diamond sharpening stone. These are metal plates or blocks that have been encrusted with microscopic industrial-grade diamonds. They make sharpening blades faster but can also damage the blade edge on a microscopic level. 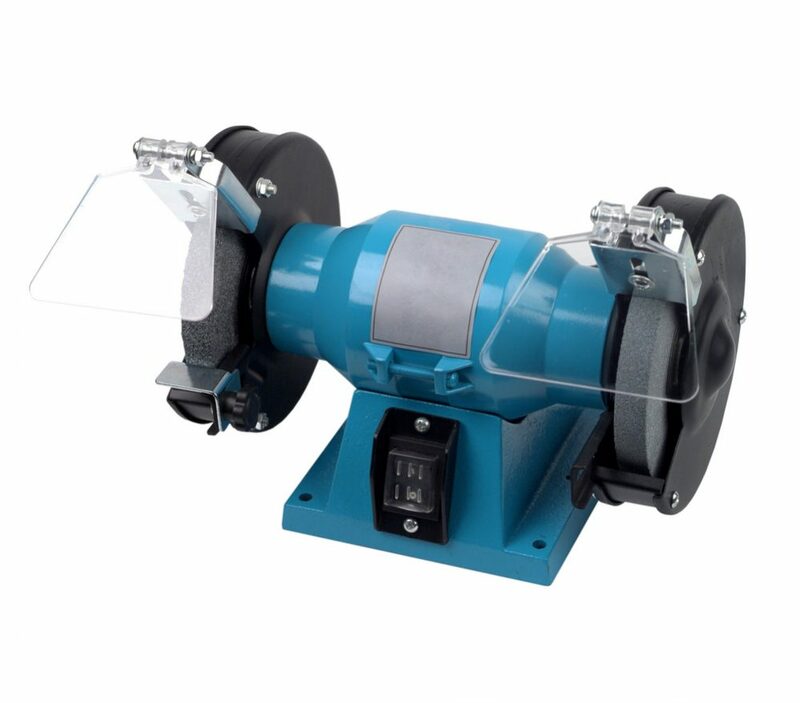 An electric bench grinder makes short work of sharpening blades and will save you the effort of doing it manually. They are especially useful for repairing blades that have been nicked or damaged. Sandpaper is an essential item for cleaning blades of rust and dirt before sharpening. 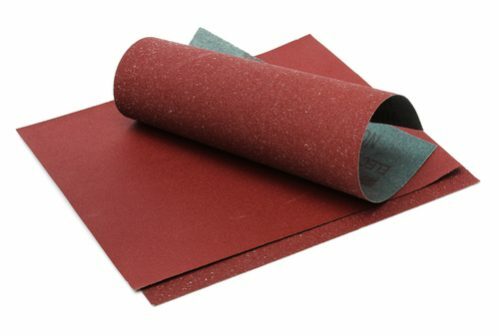 The best type of sandpaper for this use is high-grit sandpaper, which is the most abrasive. 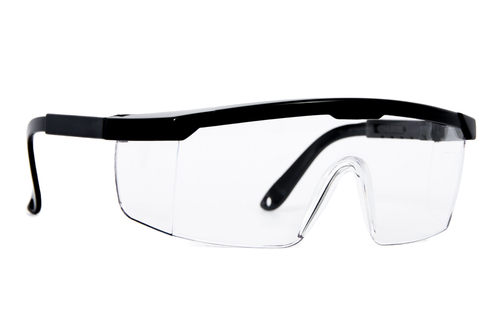 When sharpening any tools, your personal safety is paramount, and you should consider wearing eye protection as well as a mask to prevent yourself from inhaling any dust. When using machine tools to sharpen anything, these safety items become essential, and you should not regard them as optional extras. There are many essential tools that any self-respecting gardener should have at his or her disposal. It is important to maintain your tools in good working condition to ensure they last as long as possible. Some tools need to be as sharp as possible (knives, axes, shears) while with others, just making sure the edge is not completely blunt is sufficient. Here is a list of the most important edged tools and how to sharpen them. Garden shears come in all sizes, from small hand-held pruning clippers to long-bladed hedge trimmers. With moderate use, you will find that they need to be sharpened every year or two to retain their effectiveness. However, this is generally a simple operation. The most important thing to understand is that the cutting blade on shears is beveled. This means it is only sharp on one side, unlike something like a kitchen knife. You need to make sure you sharpen the correct side; otherwise, it will have little effect. The first step in sharpening shears is to clean them of rust and dirt. To do this, use a piece of sandpaper and rub them vigorously until they are clean – especially the blades you want to work on. 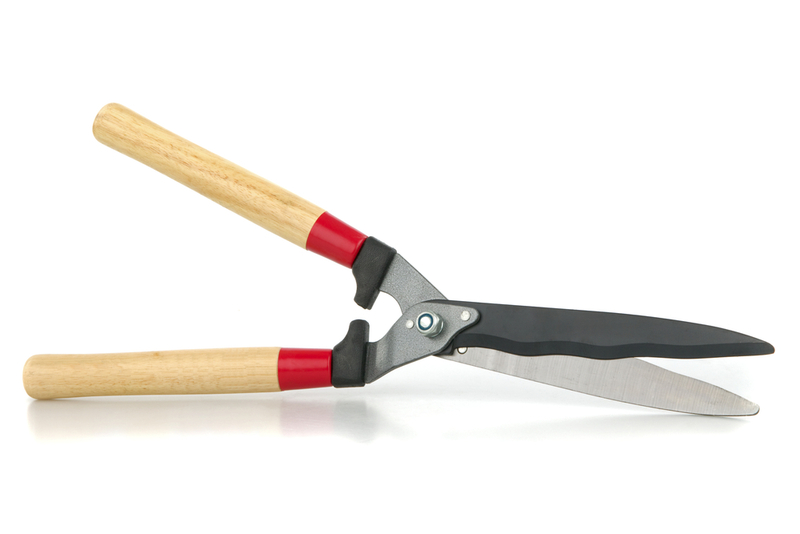 If you are sharpening a larger pair of shears like those used for trimming hedges, open the shears and place them in a clamp or vise with the blade you are sharpening facing up. If you look closely at the blade, you will see that it is beveled – the inside edge is flat, but the outside edge is at an angle. You need to sharpen the outside, angled edge but not the inside, flat edge. If you try to sharpen the flat edge, you will weaken the blade. Using a file of an appropriate size, sharpen the blade by filing the outside edge of the blade. When the edge is sharp enough, remove from the clamp or vise, turn the shears over and repeat for the other blade. If you are only sharpening a very small pair of shears, you probably won’t need to use the clamp. Simply hold them in your hand and file them in the same way as described using a small file. Knives are versatile tools with many uses. However, knife blades can quickly become blunted – even a kitchen knife used to cut vegetables needs to be sharpened regularly, so knives used in the garden definitely need constant maintenance. If you are using a whetstone, first soak it in water. Whetstones have two sides, one with a coarse grain and one with a fine grain. With a smooth, constant pressure and an even motion, start with the coarse gain and sharpen the knife at an angle of about 20°. Next, in order to achieve an extra-extra sharp edge, repeat on the side of the whetstone with the fine grain. Note that unlike shears, knife blades are not beveled and need to be sharpened on both sides. 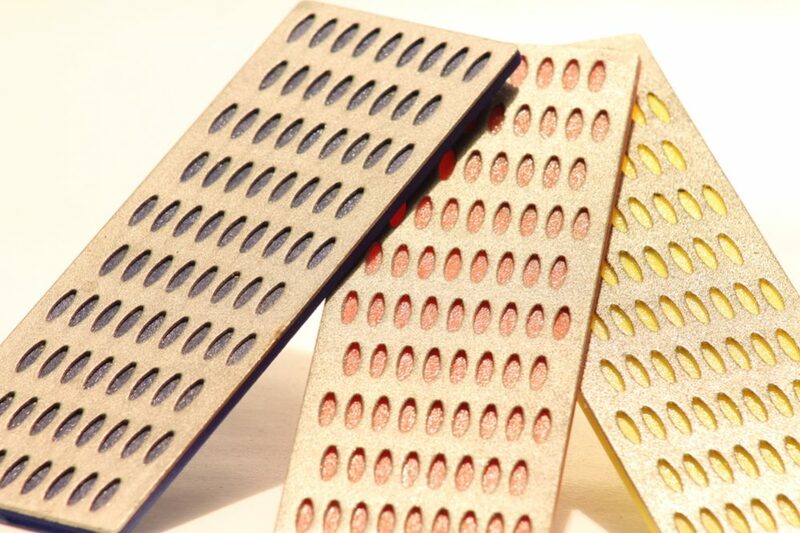 If using a diamond sharpening stone, simply follow the same process. Here’s a video answering many questions about diamond sharpening stones. Keeping your lawnmower blades sharp is an important aspect of lawnmower maintenance. 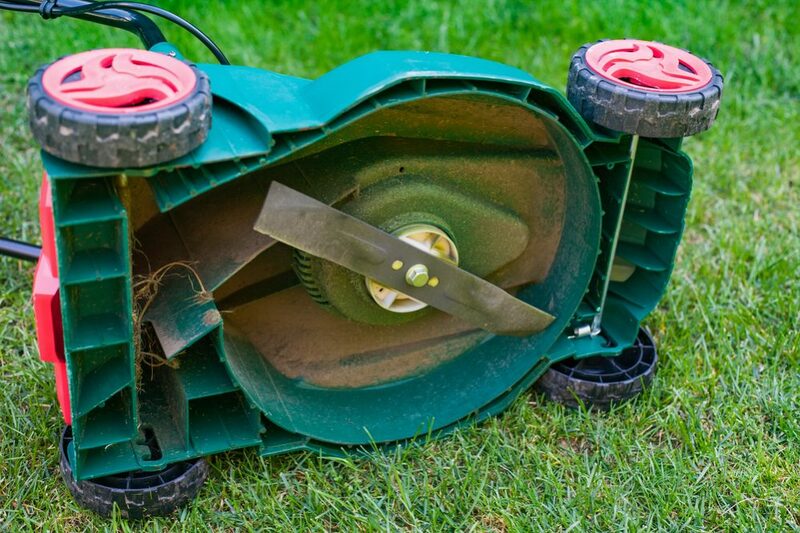 Blunt blades will cause the mower to labor when cutting and you may end up tearing the grass out of your lawn rather than slicing through it cleanly, damaging the grass. The best time to sharpen your lawnmower blades is at the start of the spring in preparation for the spring and summer growing season. Sharpening lawnmower blades is relatively simple – the hardest part will probably be removing the blade from your mower. To be safe, make sure you remove the spark plug and power source before taking out the blade. When this is done, you can turn the mower over and unscrew the blade. When removing the blade, pay attention to which side is up and which side is down. A common mistake is to put the blade back the wrong way around after sharpening – it might help to mark the blade with a marker pen so you know which way up it goes when you put it back. Once the blade is removed, give it a good clean with sandpaper then fix it into a vise. To sharpen by hand, run a file along the bevel at about 45° until you create a clean, sharp cutting edge. Alternatively, you can sharpen the blade using a bench grinder. If you choose this option, simply move the blade back and forth against the spinning wheel, again, following the angle of the bevel at about 45°. If you use a bench grinder, make sure you wear eye protection and a mask to stop yourself breathing in the dust. 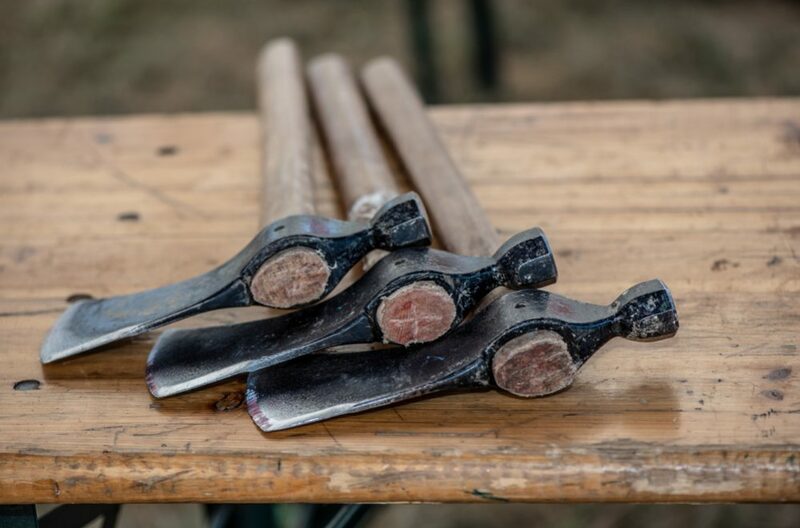 Axes or hatchets need sharp blades to be useful. They are usually made of tough metals, and you will need strong sharpening tools to do a good job. To sharpen a small hatchet, you may be able to do a decent job just with a file. Simply hold the hatchet in your hand and file both sides of the blade until you create a sharp cutting edge. If you have a larger hatchet or axe, it may be preferable to fix it in a clamp or vise. This will make it easier to sharpen. Again, use a file to sharpen both edges of the blade until you achieve the desired result. If you need a very sharp blade or you have a larger axe that needs sharpening, it might be better to resort to a bench grinder. In this case, follow the same procedure as described above for the lawnmower blades. Move the blade back and forth over the grinding wheel – the only difference is, unlike with lawnmower blades, you need to sharpen both sides of the cutting edge. Again, as with sharpening lawnmower blades with a bench grinder, make sure you wear appropriate protection over your mouth and eyes. Regular flat shovels don’t require sharpening as they are not used for cutting. However, curved shovels and edging tools are used to cut through tough soils and roots and do need a sharp edge. With use, they quickly become blunt, so you will need to restore the edge periodically. Even curved shovels and edging tools don’t need super-sharp edges – they don’t need to be as sharp as mower blades, shears or axes – so you can probably sharpen them sufficiently just by using a large file. If the edge has been nicked or is otherwise damaged, you may need to do some more significant work on it, in which case, a bench grinder might be a better option. 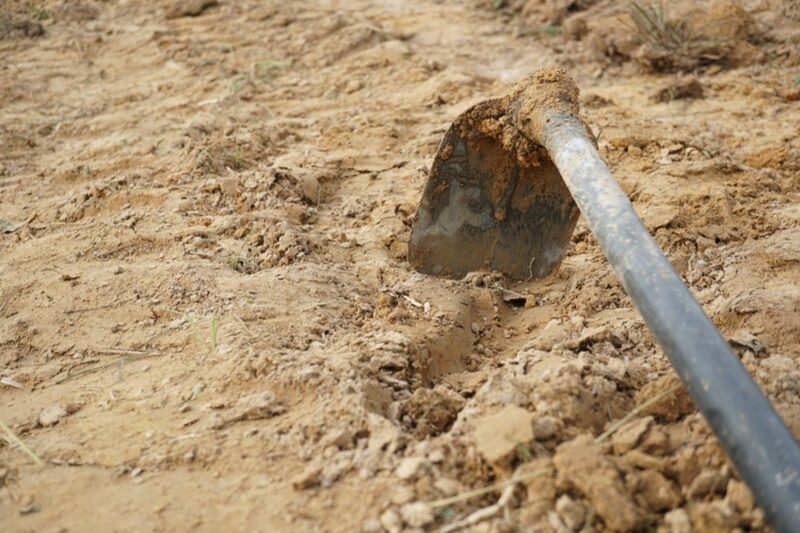 If you are only planning to file the edge of a shovel, the first step is to give it a good clean. Use high-grit sandpaper to remove dirt, grime, and rust, especially on the edge of the tool. Once the edge is clean and shiny, you can just use the file to work on it until you have created a sharpened edge. Again, it doesn’t need to be too sharp – and will probably become blunt through use quite quickly anyway. 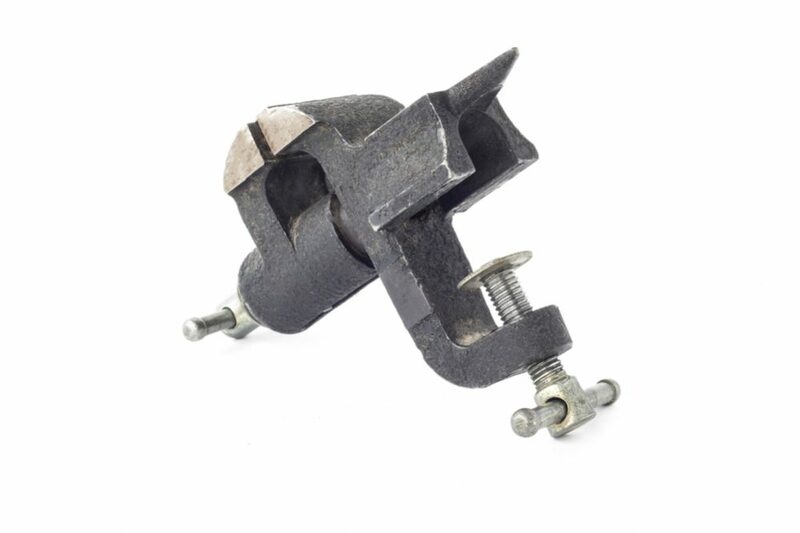 To repair a shovel or edging tool that has been nicked, use a bench grinder as described above. Pass the edge over the wheel until you have smoothed out the nicks. As ever, when using an electric grinder, make sure you always wear the appropriate protective gear. 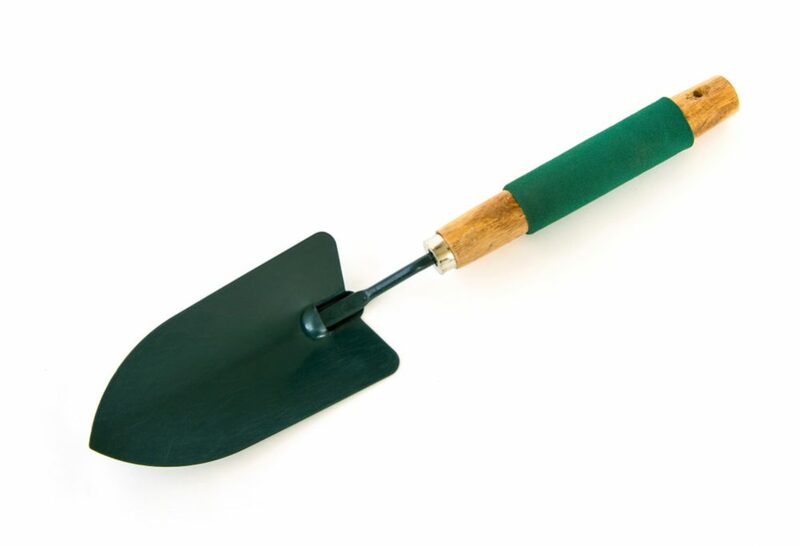 Depending on what you use it for, some people like their garden trowel to have a clean, sharp edge. This is an easy tool to sharpen since it doesn’t need to be able to slice through anything more than hard soil or tough roots. A grinder is probably not necessary, and you can do the job with a file. This is a very simple job. The key here is to make sure your trowel is clean before you start with the file since trowels can attract a lot of mud and also become rusty. You can do this with a piece of sandpaper and a bit of determination. Once your trowel is clean, use the file to sharpen the edge as much as you need. Since you probably don’t need it to be razor-sharp, you shouldn’t overdo it. Trowels that are used a lot wear down quickly anyway. If you over-sharpen it, you will only shorten its lifespan further. 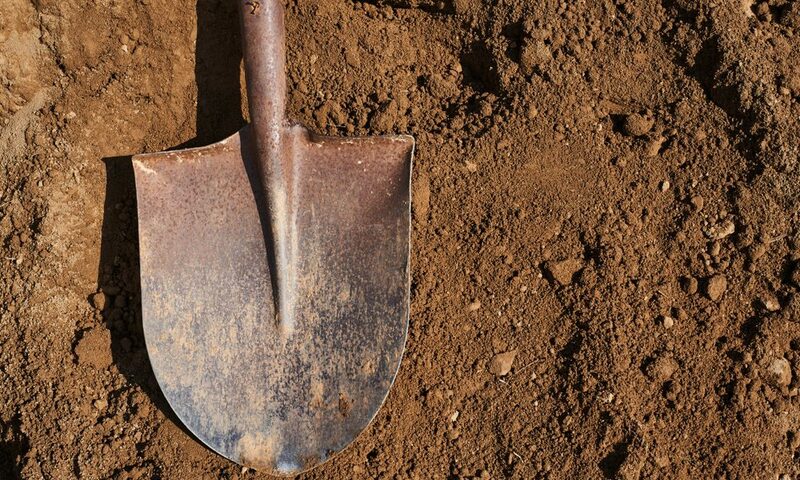 Sharpening a hoe is similar to sharpening a trowel in some ways. Hoes don’t need to be too sharp since they are not used for cutting so much as for scraping or dragging. However, some people like a sharper edge, so here’s how to do it. The procedure is exactly the same as with a trowel. First clean the hoe with the sandpaper, taking special care to leave the edge free of dirt and rust. When the blade is clean, simply file away until you have the sharp edge you require. The key to maintaining your tools is to make sure they are always in good condition. Don’t wait until a tool is practically unusable before deciding to act or repairing it will require a lot of extra work. It’s much better to clean and sharpen your tools regularly – that way, they will be ready when you need them and hopefully should last a long time.